The silhouette and papers are from Debbi Moore's Silhouette Magic and Flutterby CDs. 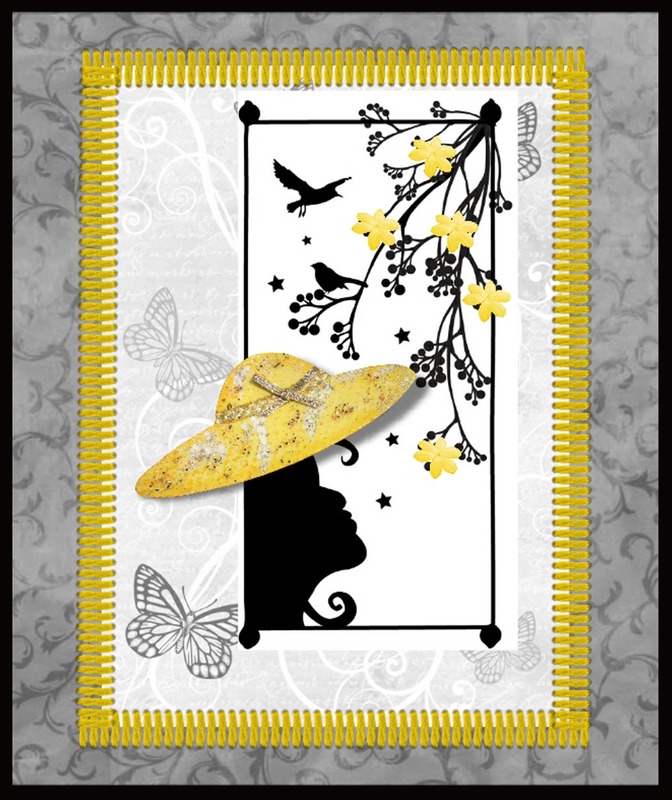 The hat is a photo of one of my Mountboard Cut-outs (Hats pack), inked with Distress inks, patches of Stampendous Aged White embossing powder, triple embossed with clear embossing powder with Tortoiseshell Accents Beads sprinkled on. 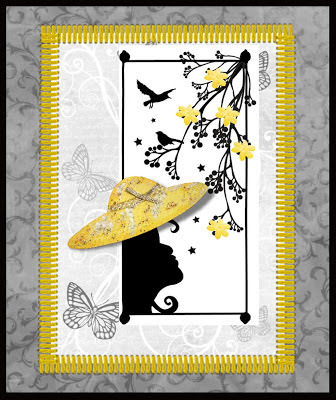 The card was put together in CAP2, using the embroidery brushes feature. Finally one of my flowers added to the tree. A great colour combo. The yellow really gives it zing!!! Love your colour choice Caroline and the hat is beautiful. Thanks for joining us this week. This is a lovely colour combination Caroline and beautifully put together. Thank you for joining us at CD Sunday. Very creative Caroline, love the colour combo. I love the lemon with the black and white. Thanks for taking part at CD Sunday this week. That's lovely Caroline. I love the colour combo too - and would love a hat like that myself. Just what I need outside at the moment. Love this Caroline , great image and colour combo.